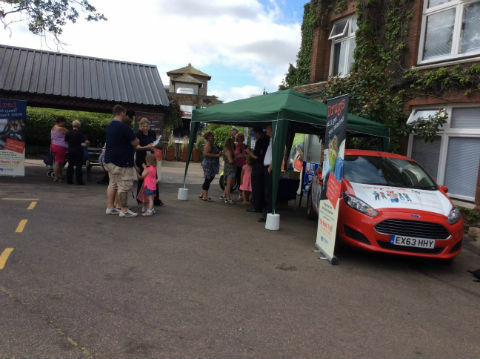 Visitors to Colchester Zoo yesterday (10 Aug) were greeted by police, fire and rescue and road safety officers who were there as part of The Honest Truth Campaign. The Safer Essex Roads Partnership (SERP) has adopted The Honest Truth in a bid to change possible bad driving behaviours in young drivers between the ages of 17-24 yeras. The campaign uses animal heads behind the wheel to portray a particular bad driving practice; a cheetah to represent speed, a parrot to illustrate talking on a mobile phone while driving, and two chimps in the back seat to represent being distracted by passengers when driving. 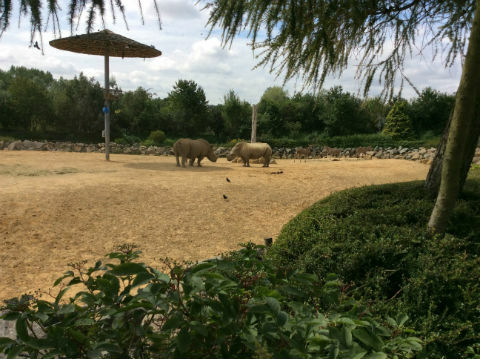 Rhinos at Colchester Zoo. In The Honest Truth campaign, rhinos are representative of the collision impact a person can have if they are not wearing their seatbelt in a vehicle. Issues covered include, among others, not wearing a seatbelt, not having insurance and drink driving. Each animal head image has its own statistics and facts in relation to collisions that may occur as a result of the driver’s behaviour. 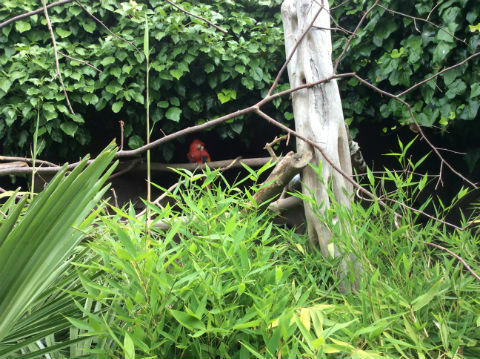 A parrot at Colchester Zoo. In the campaign, parrots represent talking and using your mobile phone whilst driving. 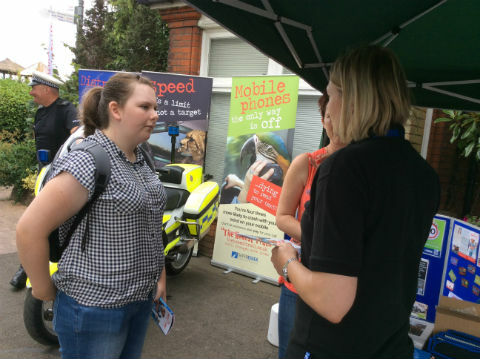 SERP representatives spoke to young adult visitors to the zoo to explain more about the campaign, what they can do to prevent collisions and other problems from occurring, with the goal of ensuring that the roads of Essex remain safe. A representative from Essex Highways speaks to a student who is thinking about beginning driving lessons. 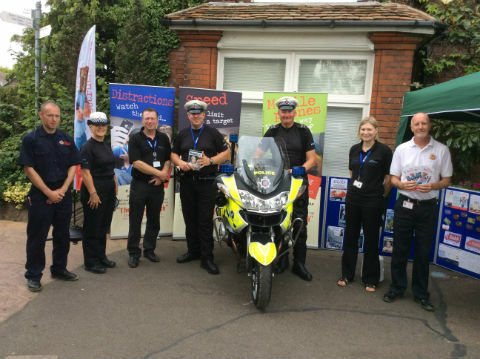 Carl Pullen, part of the road safety team at Essex County Fire and Rescue Service, said: “We’re here to offer support to our police and highways colleagues over the next couple of days, promoting road safety to the public. We’re discussing issues such as drink driving and wearing seatbelts, so hopefully this will make people a bit more mindful of their safety when travelling on our roads”. 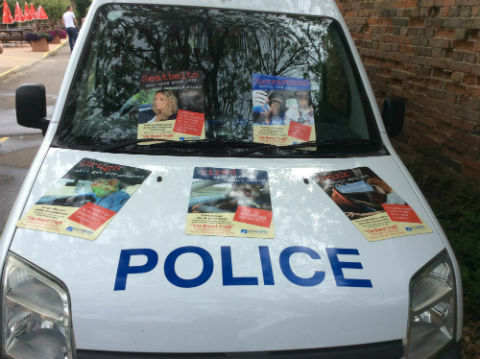 PC Rob Andrews and PC Deborah Gray, both community engagement officers for Essex Police Casualty Reduction Section, talked to young people about the help that is there to keep safe on the roads, including SERPs Roadster young driver event which runs across the county. 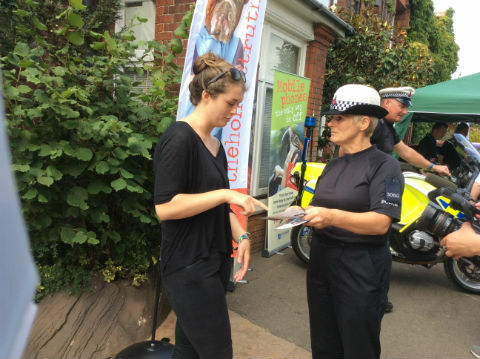 Pc Deborah Gray speaks to a zoo visitor about driving behaviours as part of the campaign. 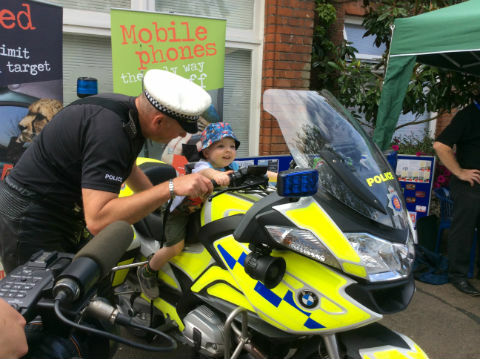 The police motorcycle also proved to be a hit with parents, young people and children alike, with sergeant David Griffiths, also from the Casualty Reduction Section, giving youngsters a helping hand to sit on the bike! Little Logan is now a fan of Sgt Griffiths and his police motorcycle! Pc Gray said: “It is fantastic to be part of this event at Colchester Zoo, which gives us the chance to engage with young people in the wider work of the SERP and its initiatives. 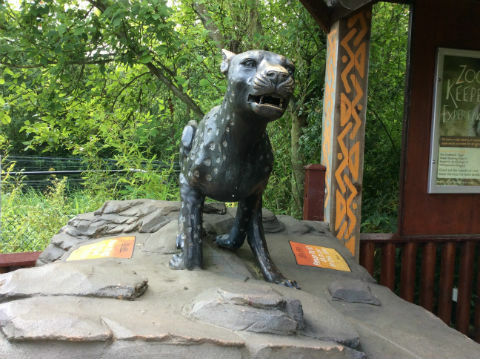 A cheetah statue at Colchester Zoo Cheetah Enclosure. As part of the campaign, the cheetah represents speeding and excessive speed. 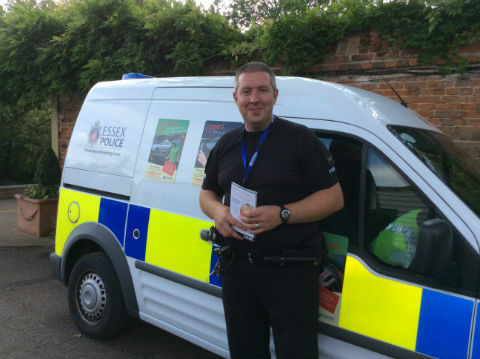 Adam Pipe, Essex Police casualty reduction manager, said: “Essex Police recognise how young people are extremely vulnerable on our roads and how accidents can occur through misinformed driving practices. The event is continuing from 10am to 3pm today (11 Aug) at Colchester Zoo.